You can spend less and get more out of your air conditioning and heating with these pointers from the pros at Ferrara’s. Of course, we’re always just a phone call away when you need us. Before the cooling and heating seasons start, it’s a good idea to get a maintenance check and tune-up done on your system. In addition to improved safety, comfort and energy efficiency, regularly maintained equipment is less likely to require service. That can save you hundreds, even thousands of dollars in repair costs over the lifetime of your system. Call us to schedule a tune-up or learn about our annual maintenance agreements. If your vents or units are in use in every room in your home, you’re cooling or heating a lot of real estate. Close vents in unoccupied rooms, shut closet doors, and keep window units off when you’re away from home. 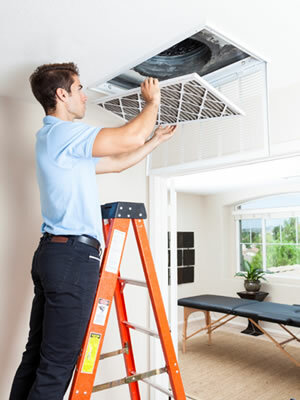 Overlooked air duct maintenance can cause problems with mold and other airborne elements that can lead to allergies. Particles like pollen, dust, bacteria, tobacco smoke, cooking smoke, and animal hair keep your air from being as clean and healthy as possible. Our indoor air quality experts have the breathe-easy solution: A whole house air duct cleaning that includes unlimited vents per air handler. You can keep your home more comfortable and reduce A/C costs by installing energy-efficient ceiling fans to circulate the air. The average cost to run a fan is only about $7 a month and it can make a big difference in creating a breeze effect that feels cool on the skin. If you need a hand with fan selection or installation, we can help. 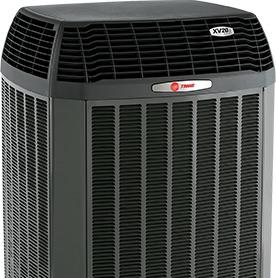 Your cooling and heating system ensures comfortable year-round temperatures inside your home. Over time though, systems can begin to lose efficiency and break down more frequently. If yours is more than 10 years old, the U.S. Department of Energy recommends you have it inspected by a qualified air conditioning professional. We can come out and assess your current equipment’s overall condition and efficiency and determine if a new ENERGY STAR rated system can reduce utility bills and produce a higher level of comfort.